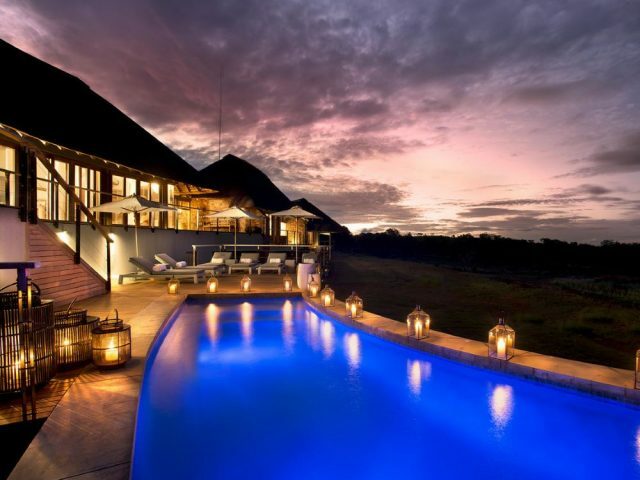 The private and very luxurious suites with their plunge pools and salas are perfect for romance – you could just hole up there for your entire stay only emerging at meal times! Wooded mountains cut by rocky ravines and majestic gorges make Welgevonden perhaps the most scenic of all the main reserves! an unapologetically contemporary and glamorous look and feel with white painted wooden decks and the use of metallic paint to bling up some décor features that would make Clifftops feel just as much at home perched above Clifton’s beaches! 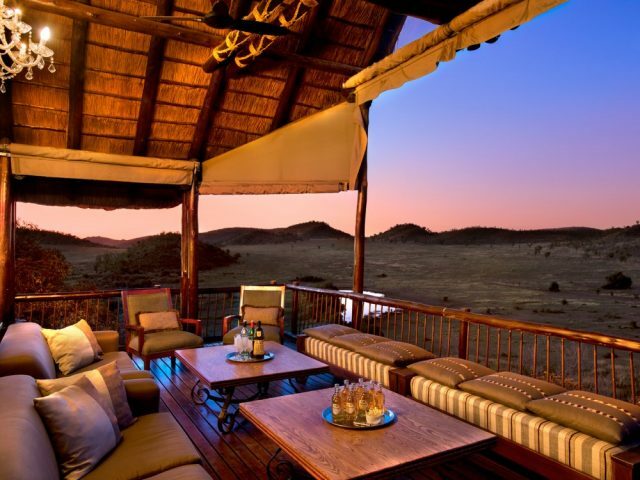 There are eight luxury suites which overlook the flowing Sterkstroom River and all of them have been positioned for maximum privacy and views. 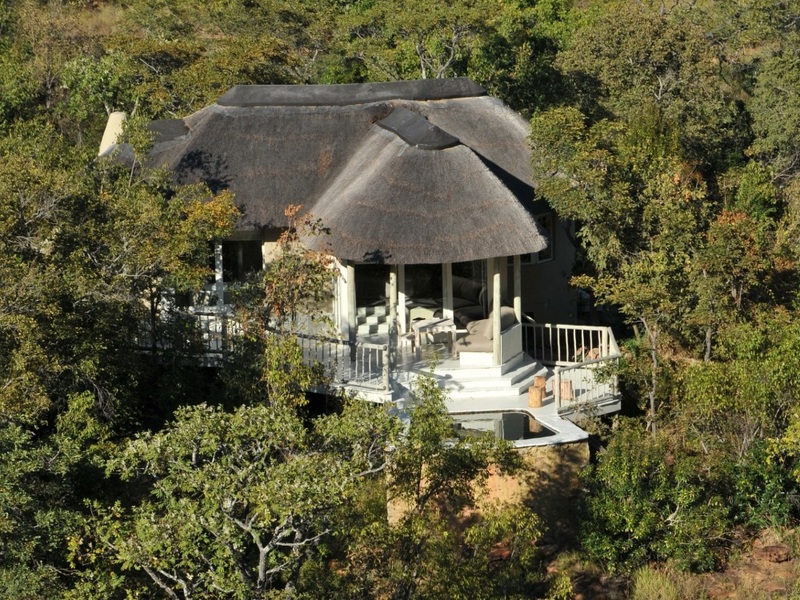 Each boast their own private deck and plunge pool (between game drives the plunge pool provides the perfect place to relax and literally chill), as well as a thatched sala which is perched on the cliff’s edge – just beware if you fancy reading a book that your eyes are likely to be constantly dragged away from the pages to take in the remarkable views! The stylish air-conditioned suites with their earthy colours and textures also feature indoor and outdoor showers with sweeping views – they’re the type of place where you could disappear into for an entire weekend without emerging except for the odd meal! That would be a pity though as the Welgevonden is certainly worth exploring on the twice-daily game drives (the lodge’s spectacular cliff top positioning does exact a small price in this regard in that it’s about a 20 minute drive down to the prime game viewing areas on the plains) Situated only 3 hours drive from Johannesburg, Welgevonden boasts some 36000 hectares of diverse and scenic bushveld and adjoins the Marakele National Park, making for a massive area under wildlife of almost 60000 hectares! Unlike the lowveld reserves which are largely as flat as a pancake, Welgevonden boasts magnificent scenery with rolling mountains interspersed with deep gorges, river valleys and grassy plains. 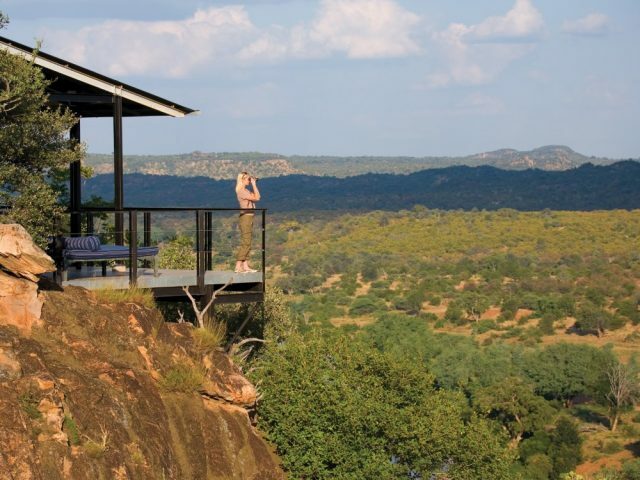 Clifftop is the one and only lodge in the eastern region of the park, therefore if you're looking for exclusivity and romance on your getaway then this is the place for you! Twice daily game drives depart in the early morning, stopping for refreshments en-route – on these 4x4 drives you and your ranger will explore both the beauty of the reserve and enjoy some excellent game viewing. 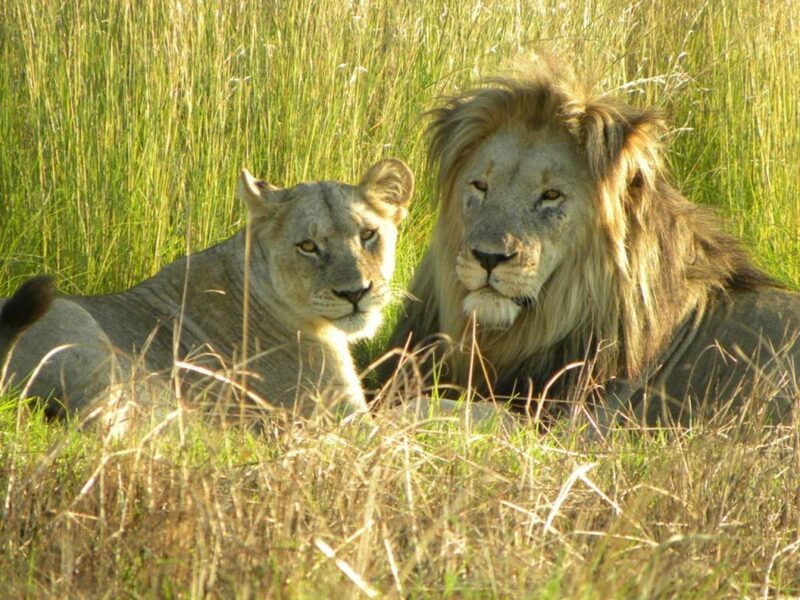 Welgevonden is home to over 50 different mammals, including the Big Five, and boasts one of the largest populations of white rhino on a private reserve anywhere in Africa. The wide diversity of habitat encourages this wide range of wildlife and birds - there are rare and unusual species too, such as brown hyena, aardwolf and aardvark which are best seen at night. The grassy plains abound with antelope from the largest eland to the diminutive duiker, and cheetah, lion and leopard are always close by. Back at the lodge you can also enjoy pampering massages or simply chill – either in your gorgeous suite or in the equally stylish main public area which is decorated in an organic style using all natural handmade fabrics. You could kick back and enjoy a good book on the wooden decks of the main complex or take a dip in the rimless swimming pool which boasts magnificent views of the river valley below! If you fancy a cold one, then head down to the bar where an extensive array of drinks and cocktails can be sipped on the pool deck, or on those chilly winter’s evenings enjoy a sherry next to one of the indoor fireplaces! Cuisine at the Clifftop Exclusive Safari Hideaway is a superb affair offering a dramatic fusion of African and Western flavours - for those romantics looking to enjoy an intimate dinner for two then the fully stocked wine cellar (affectionately known as Oupa se Stoel) is the perfect romantic setting!